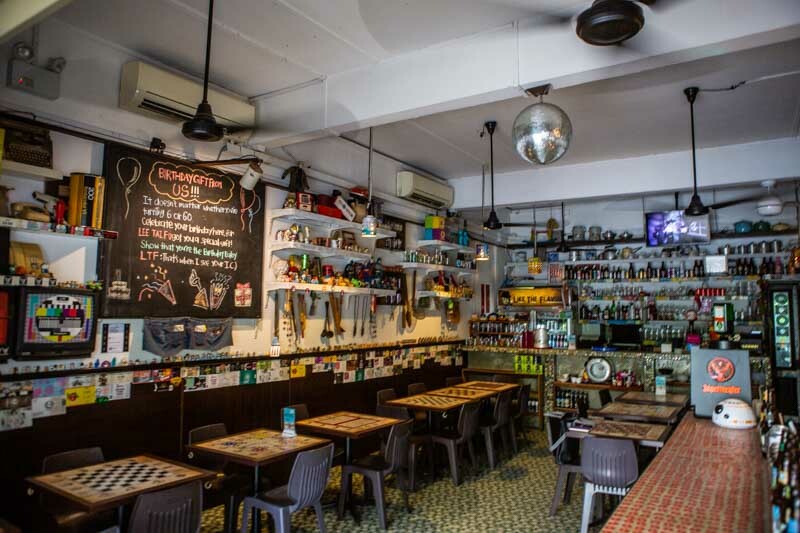 Tiong Bahru might be an old estate, but it’s a hotspot for many hipster eateries. The sea of food spots there never fail to leave me in a hungry dilemma. However, an unusually rustic restaurant caught my eye the other day and I decided to check it out. 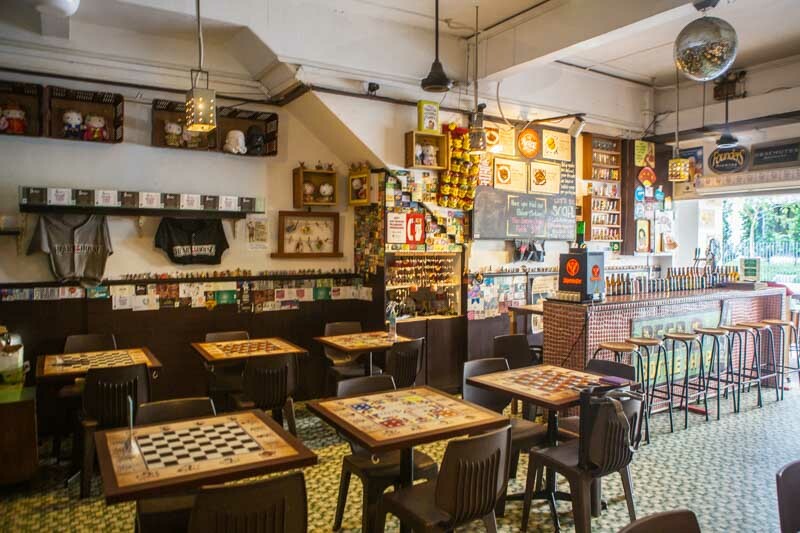 Located along Kin Tian Road, Lee Tai Fu (李太福) is a quaint little bar-restaurant. As you approach the restaurant, you’ll hear hit tunes from the yesteryears blasting through the stereo. Stepping into Lee Tai Fu felt as though I had travelled back in time to the ’70s. The dimly-lit restaurant looked like it was straight out of an indie film! 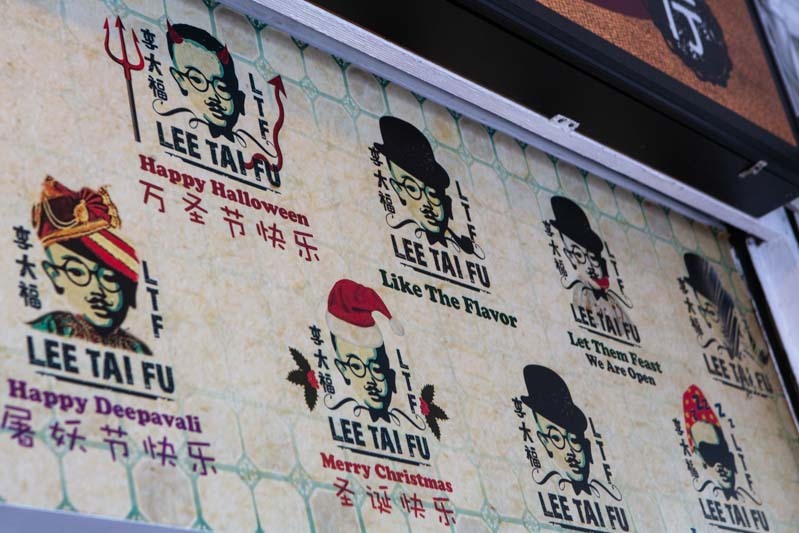 I bet you’re wondering if Lee Tai Fu is, in fact, the name of the owner. I thought it was, but the owner’s name is actually Derek Chiam. Derek first started the business in 2000 in Changi Village before relocating to Tiong Bahru in 2012. He wanted the restaurant’s name to be something catchy yet unconventional, so he decided to come up with a pseudo-name. He felt that Lee Tai Fu, pronounced as Lei Dai Fook in Cantonese, sounded quirky. It was also a throwback to his generation of the ’60s as it was a common name then. Looking around, I couldn’t help but notice the immense amount of decor in literally every corner of the restaurant. From vintage collectables to clunky TV sets to bottle cap-edged tabletops, it’s seems like Derek is quite the retro hoarder himself. 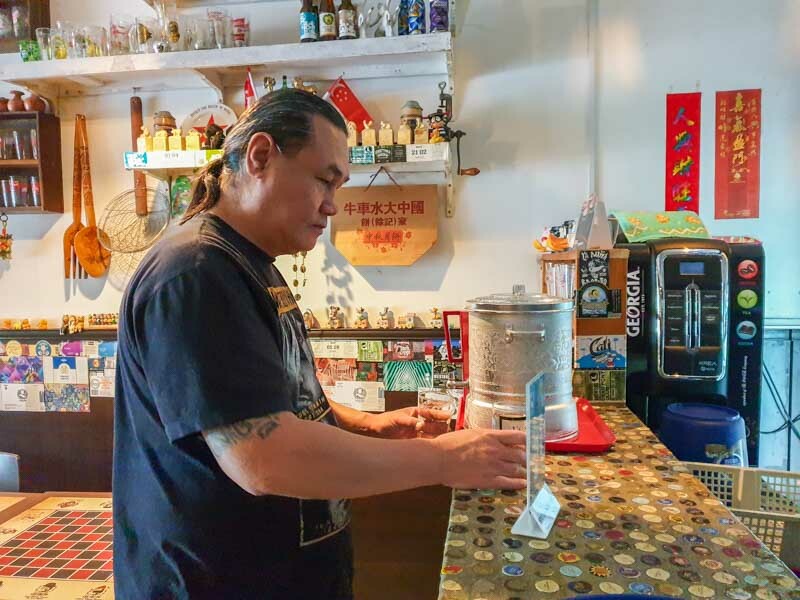 As a bar and restaurant, Lee Tai Fu offers a wide range of alcohol. 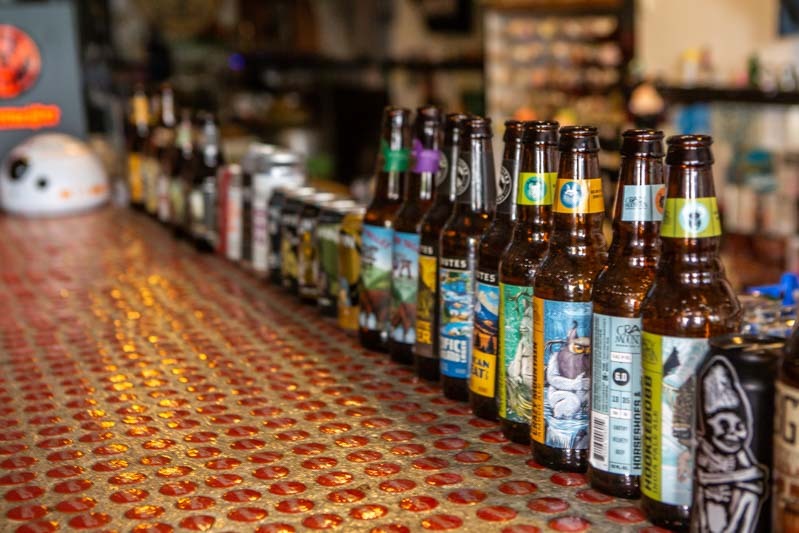 All you beer lovers will definitely fall in love with their selection of over 30 types of beers. However, Derek was more eager for us to try his meticulously-curated dishes. 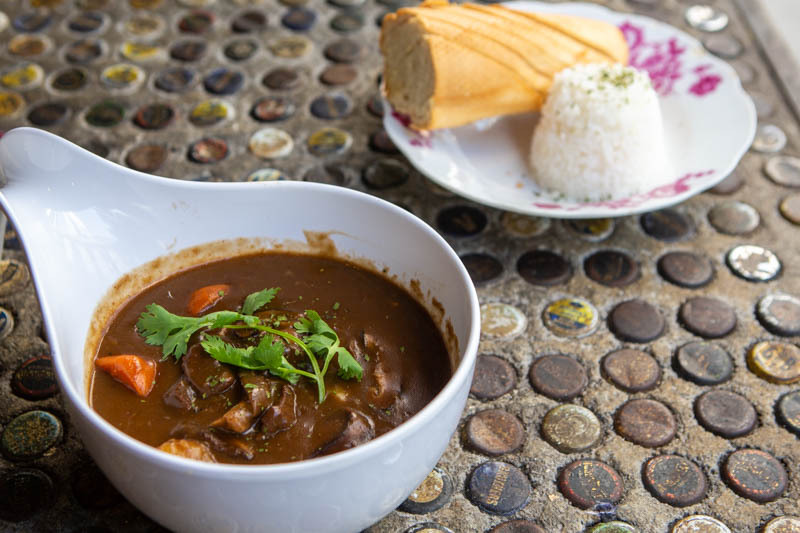 On his recommendation, we had the Beef & Guinness Stew (S$24). We were looking forward to it and wondering if it’d have the taste of Guinness. Sadly, we didn’t pick up any taste of stout. However, the New Zealand beef chuck cubes were unbelievably tender and juicy. 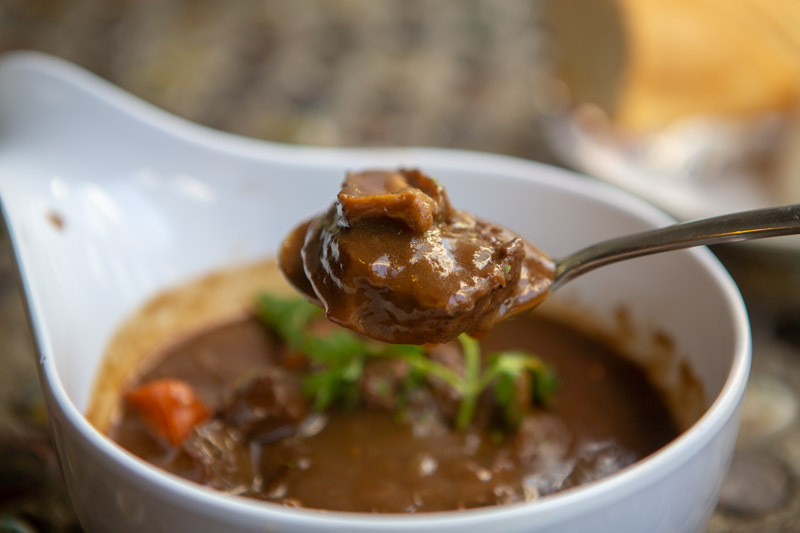 They marinate the beef with red wine before braising them for three hours. That’s why the beef cubes were so soft and had a tinge of acidity. We also identified carrots, potatoes and shiitake mushrooms in the stew. They were fork-tender too since they’re braised together with the beef. Accompanying the dish was also a side of white rice and baguette. I found them to be the perfect tools to soak up every last drop of the stew. Derek also highly-recommended the LTF Pork Knuckle (S$55). With such a hefty price tag and the restaurant’s brand in its name, our expectations were sky-high. 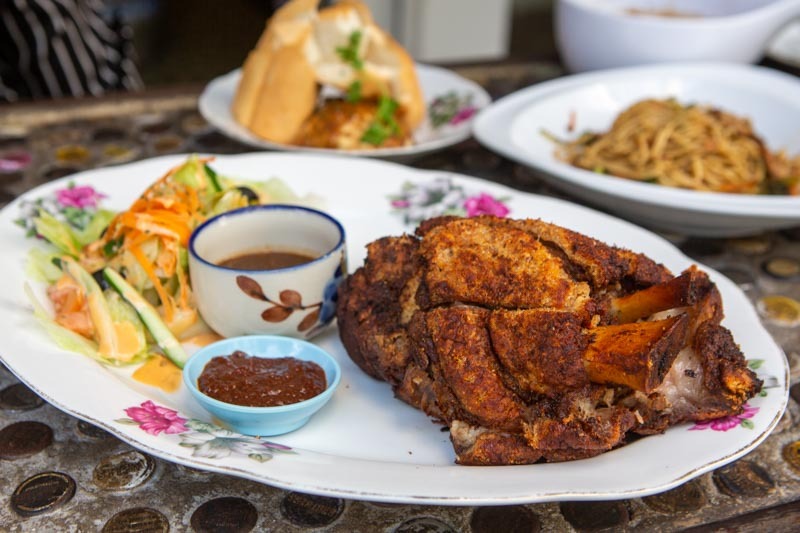 We were utterly speechless when they served us an enormous deep-fried pork knuckle. Just tugging on the bone made all the meat around it fall off easily. Satisfyingly tender and chewy, the meat contrasted with the sensationally crackly skin perfectly. 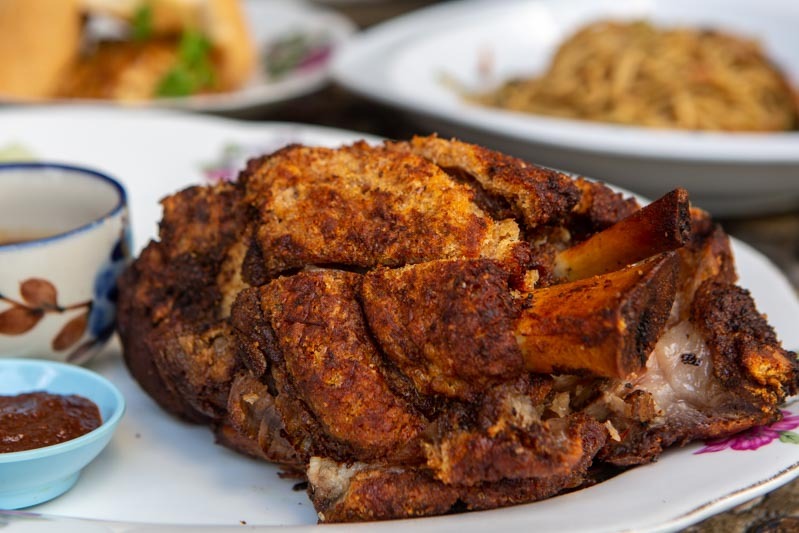 Apparently, they marinate the pork knuckle for three days before serving it. No wonder we didn’t pick up on any overly gamey pork odour! 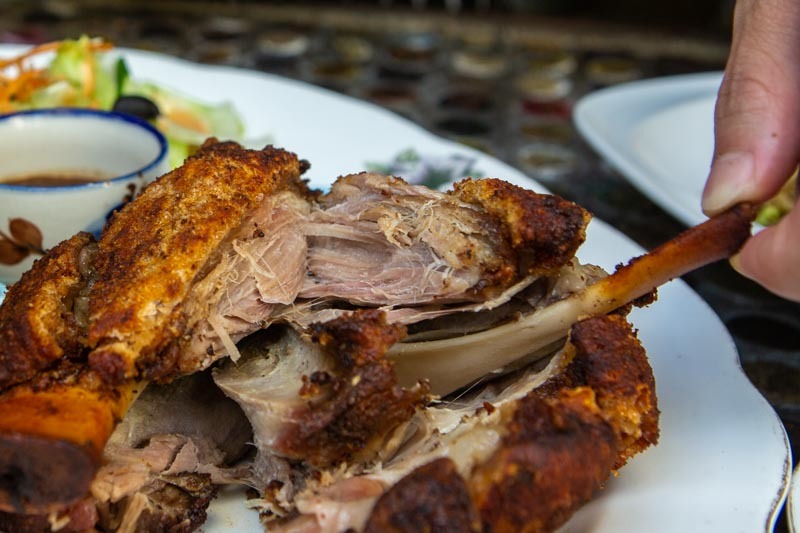 This marinade is also a special concoction of local flavours, and seasoned the pork knuckle with flavours similar to siew yoke. 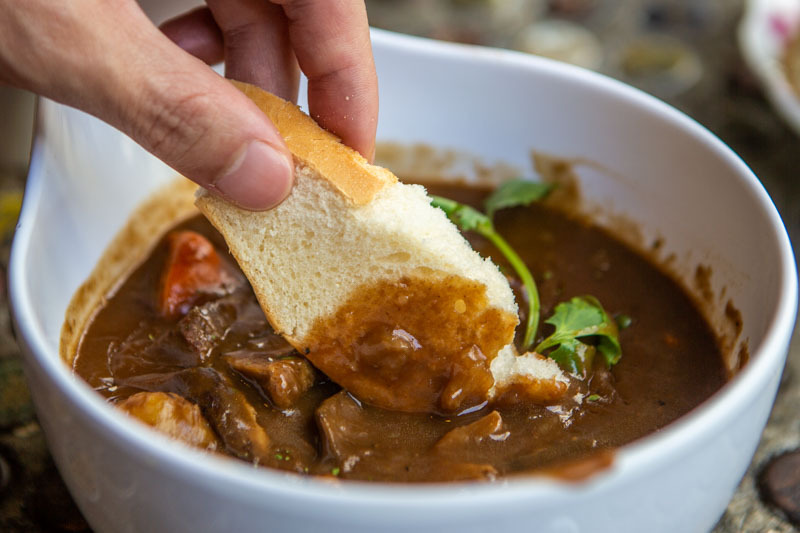 Like the Beef & Guinness Stew, the dish also came with a side of baguette and freshly-made mashed potatoes. I particularly liked that the mashed potatoes were buttery and decadent, with an almost-crumbly texture which made them simply addictive. Next was the Mee Goreng Orang Putih (S$19). 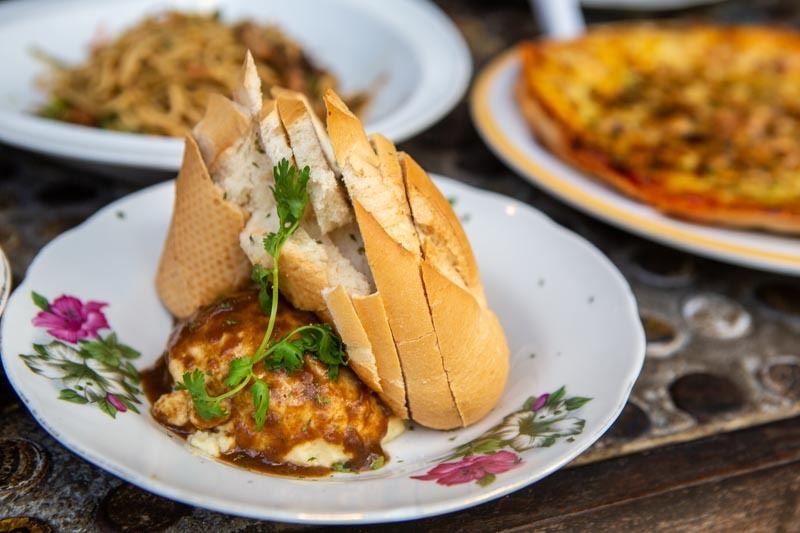 This off-menu item is a part of a seasonal lineup of dishes that Derek calls the ‘Pasar Malam‘ dishes. I’m guessing it’s because these dishes come and go like Pasar Malams, hence their name! That said, the dish was essentially an aglio olio. 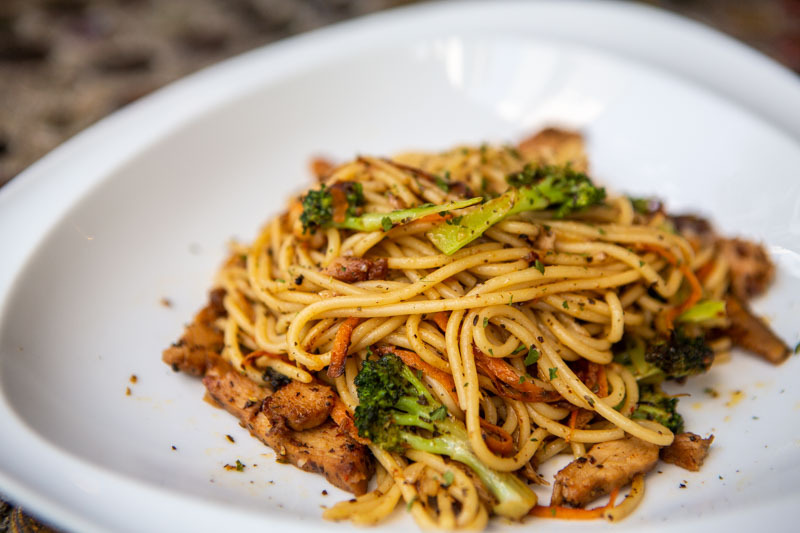 As to its name, Orang Putih, Derek said it’s because they infuse western herbs into the dish. For those of you who’re unaware, Orang Putih literally means ‘white man’ in Malay. 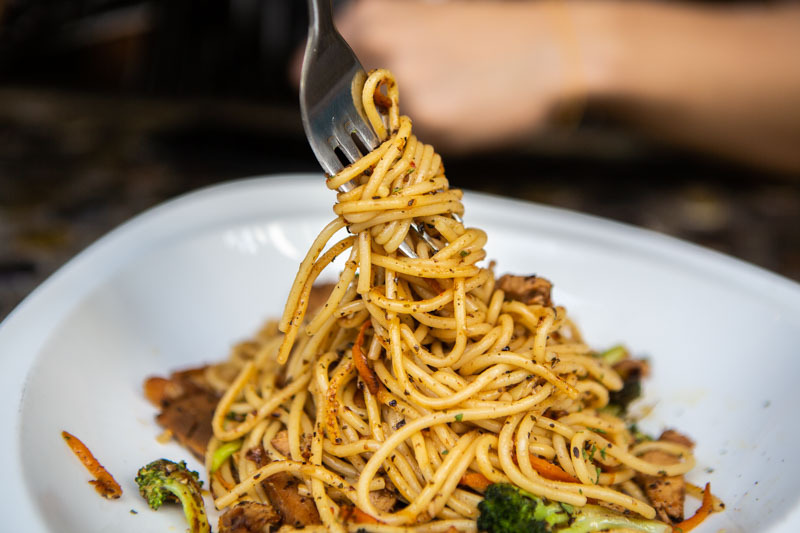 We found the spaghetti very well-cooked with an al dente texture, with a peppery flavour in every bite. That said, the dish wasn’t overly spicy, which made it very palatable for most. 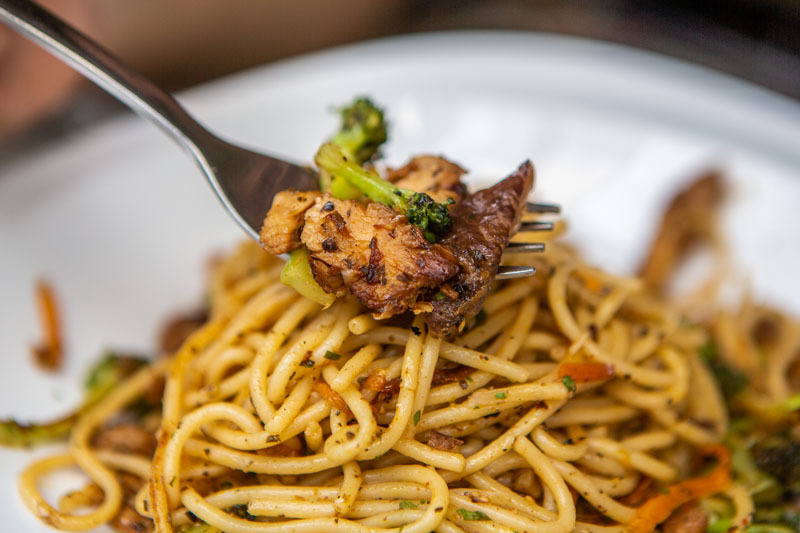 The tender chicken meat and vegetables also complemented the spaghetti well. 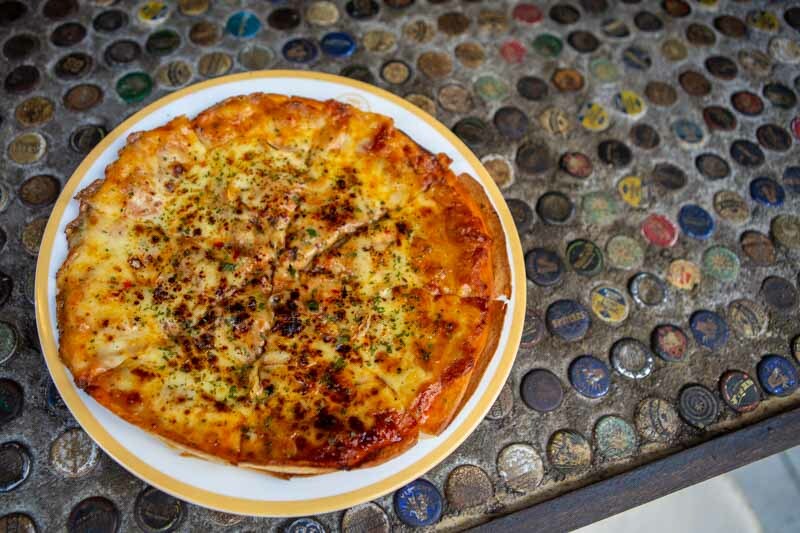 Last up was their most popular dish, the LTF Otah Pizza (S$24). For one, I wasn’t sure how otah was going to taste on a pizza. Also, we were expecting them to merely scatter bits of otah across a pizza. But it turns out we were totally wrong. They cover the pizza with a coat of special sauce before layering it with their homemade otah. Another layer of sauce goes on top before cheese and chilli flakes complete the dish. To our delight, we were able to taste the chunky fish flesh in the otah. 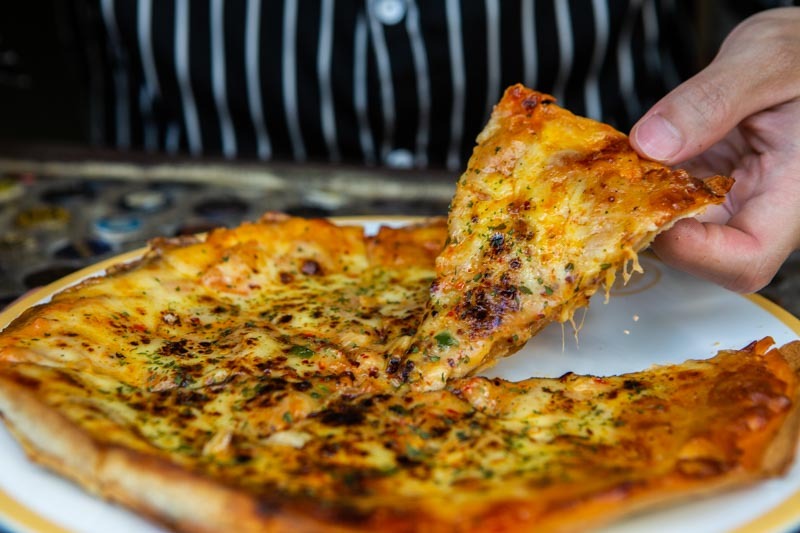 The peculiar pairing of its spicy flavour and the cheesiness of the pizza also appealed to us. We unanimously felt it was our favourite dish. The food here at Lee Tai Fu is admittedly slightly pricey. However, the good news is there’re no GST and service charges at all. 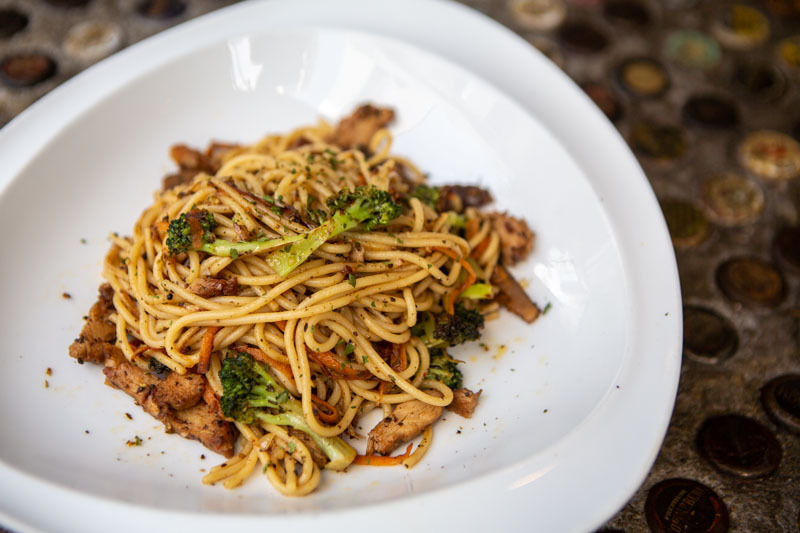 With such hearty dishes in a nostalgic setting and a cool owner, I’m definitely returning to the ’70s… I mean, Lee Tai Fu again. 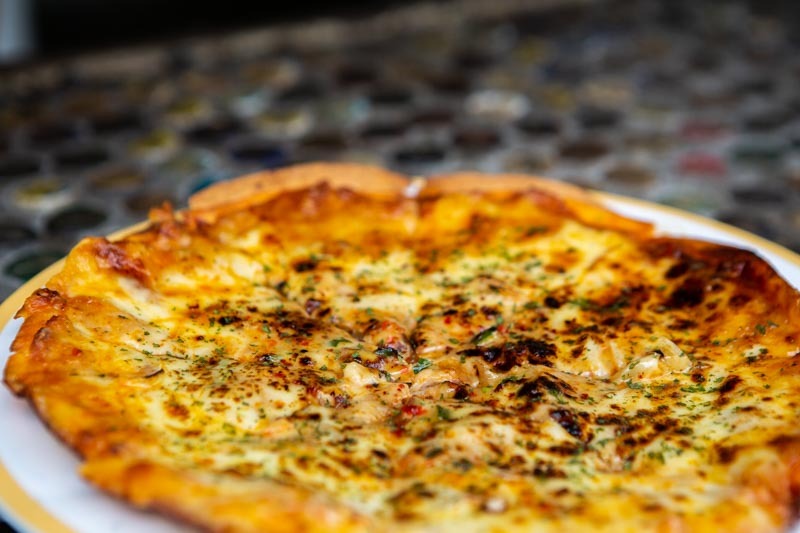 Bring your friends here to reminisce about the good ol’ days, or just to share some good food! 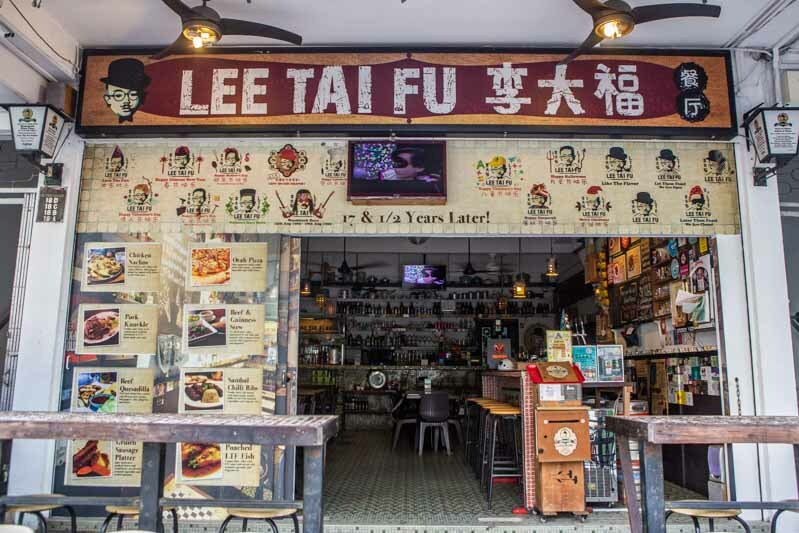 *Update: Lee Tai Fu will be closing down as its owner is retiring. Their last day of operations is on 21 April 2019 (Sun).